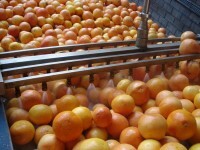 The processing plant is equipped with the latest technology. A combination of experienced employees and a modern laboratory ensure a constant high quality of the produced citrus juice concentrates and oils. In the last years the capacity has also substantially increased to fulfil the requirements of the worldwide customers.